Sorrisniva in Norway is a perfect place to spend your wedding day. Get married in the northernmost ice hotel in wintertime or have a memorable wedding celebration under the midnight sun during the summer. Taxi to accommodation in Alta for check-in. The bridal couple meets the pastor (must be arranged in advance). Dinner at the hotel and overnight accommodation. Hairdressing and pick up flowers if desired. 16:15 Transfer to Sorrisniva Igloo Hotel for the guests (approx. 20 minutes). 16:50 The guests walks into the ice chapel before the bride arrives. 17:00 Wedding in the Ice Chapel. 17:30 Aperitif in the Ice Bar, Igloo Hotel. 19:00 Wedding dinner in the restaurant (in our main house). 22:00 Outdoor Jacuzzi (maksimum 12 persons). Overnight accommodation in the Igloo Hotel. Snowmobile safari / reindeer sleighing / dog sledding. Transfer to Alta Airport, Alta Centre or other accommodation in Alta. It is constructed afresh every year with new theme and sculptures. 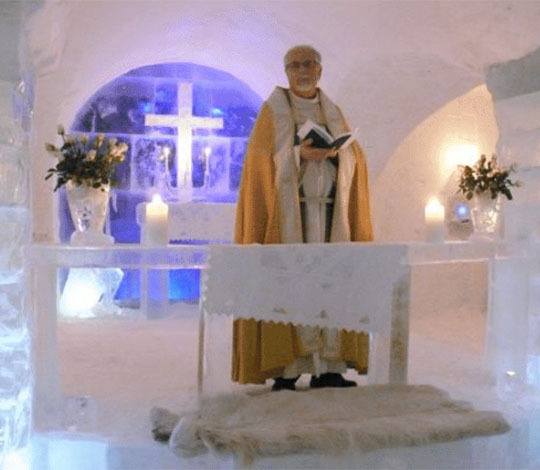 The ice chapel is approved by the Bishop of Nord-Hålogaland, and the local parish performs marriages and other services here. 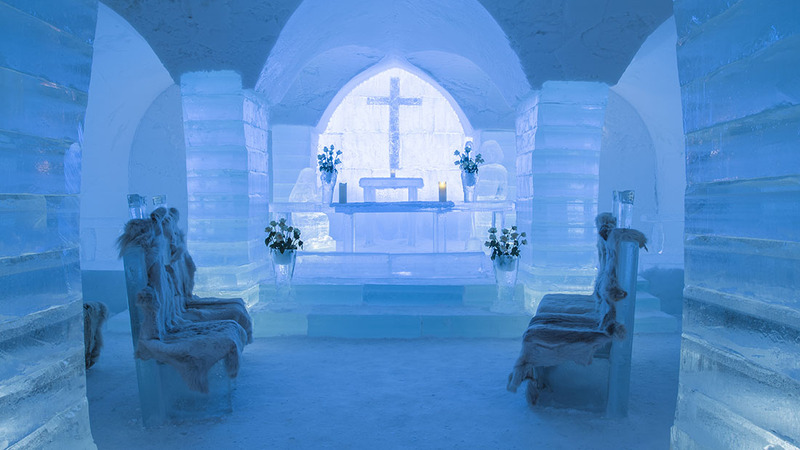 The Ice Chapel is integrated into and centrally located within the hotel, but is nevertheless a separate entity clearly demarcated from the rest of the building. 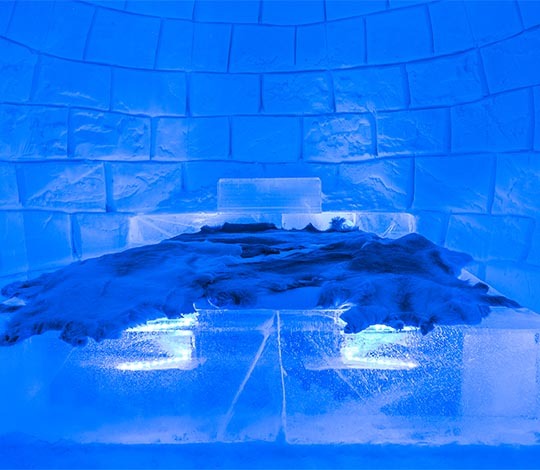 It is an intimate room with special acoustics, and like the rest of the hotel it is decorated with very beautiful ice sculptures. Personal adjustments are possible, in agreement with the pastor. If you would like a wedding march and hymns during the ceremony an organist will be booked for you. The couple must arrive in Alta no later than the day preceding the wedding so that the pastor can meet them. It is also possible to do a rehearsal in the ice chapel. The marriage ceremony in the chapel is the same one for the Church of Norway, which is a Lutheran denomination, and takes about 20-25 minutes. Send us your requested date to check availability. Wool underwear is recommended under the wedding dress. Warm shoes, you will be walking and standing on snow. After the ceremony, the wedding dinner can be held in our restaurant in the main house. 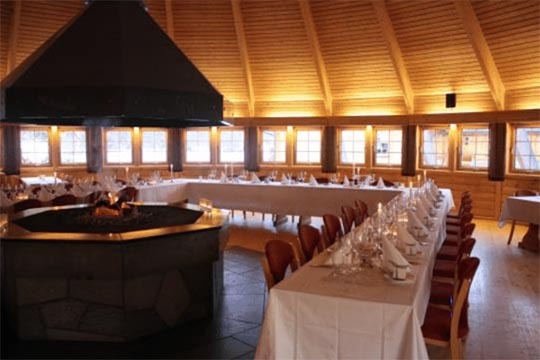 The restaurant has an architecture shaped like a Sami lavvo with a fire place in the middle. Along with the romantic atmosphere and culinary food experience we will ensure that your wedding dinner will be another highlight on your special day. From the planning process start you will have a contact at Sorrisniva. A little later in the planning process we will look at menus, wines, candles, napkins and any table decoration. 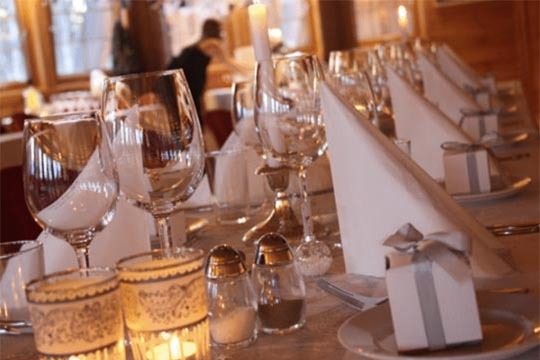 In the winter season, we are not offering private wedding parties in the restaurant. 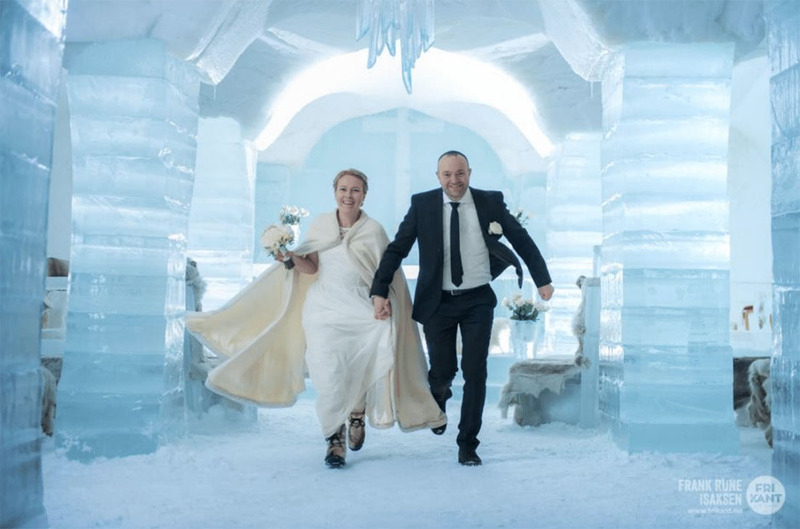 Have a proper ending of the wedding day in the snow and ice hotel. The day and night will be in your memory for a lifetime! Do you want more information about wedding in Sorrisniva, please contact us. We will help you with the details that will make your wedding perfect!